Hooray for the two long weekends this August! ( 21-23 and 29-31)! Nanay's Trip compiled interesting events to choose from to make these treasured days more fun and memorable for you and your family. Read on the events and pick the events that fit your passion projects and goals this 2015. 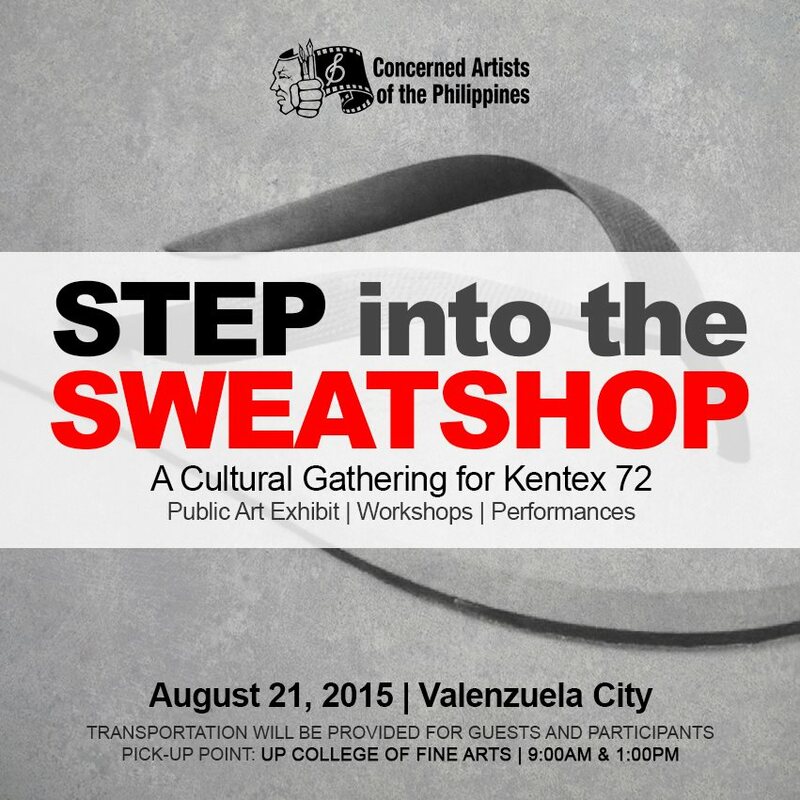 On May 13, 2015, a fire at the Kentex slipper factory in Valenzuela City, Manila left 72 workers dead. This incident underscores the conditions Filipino labor faces daily: including contractual work, low wages, unfair employment practices and hazardous working conditions. We say no to more deaths and continuing exploitation. To mark the 100th day of the tragedy on August 21, we will converge in a cultural gathering (public art exhibit/workshop/performances) and join families and colleagues of the Kentex 72 to reflect on the situation and renew the clamor for solidarity and justice. Artists support the need for living wages, better working conditions, and sustainable jobs for Filipino workers. They are the people who build the homes we live in; who manufacture the clothes we wear; who make the slippers that we use. We enjoin more people to resist forgetting and to look into the broader phenomenon of labor exploitation, persisting in the Philippines and around the globe. August is Breastfeeding Month. 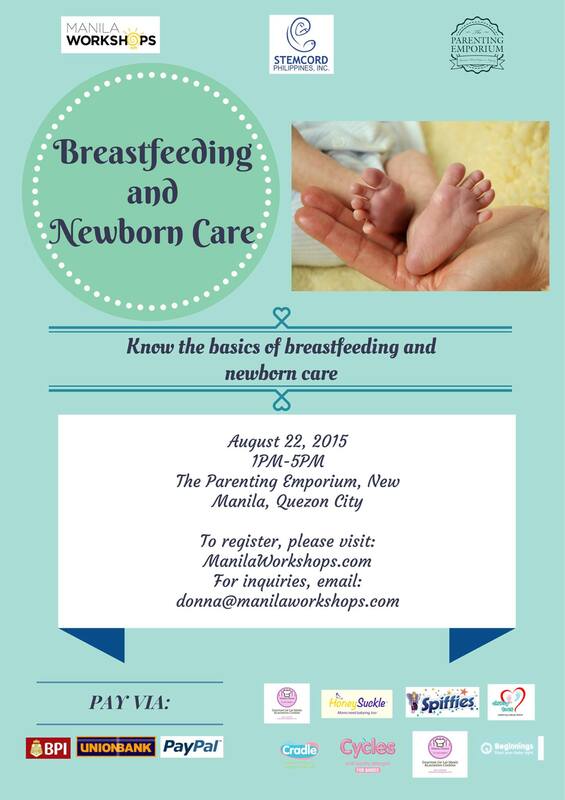 Inviting parents-to-be, parents who need refresher, and just anyone who would like to know about the basics of breastfeeding and newborn care on August 22, 2015 at The Parenting Emporium! Dr. Jamie Isip-Cumpas, MD, DPPS, IBCLC received medical degree from the University of Santo Tomas, finished residency in Pediatrics in The Medical City, also practices as a lactation consultant and member of the Breastfeeding Committee of the Philippine Pediatric Society, facilitator in Educhild Philippines which is a non-profit organization that helps parents in their role as primary educators of their children; mother of 3 children ages 6,4 and 2. Register here and please type NTNDLBFNC_1 in the Referrer Code so they would know that you heard about the workshop here in our little nanay’s tambayan. Thanks! How to choose Bloggers for campaigns? 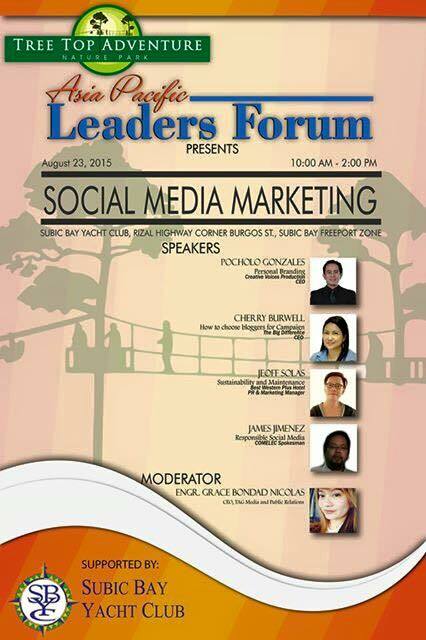 How to sustain and maintain the relationship with bloggers? How effectively can marketing managers become the brand ambassadors of their own company. How to convert likes into sales? 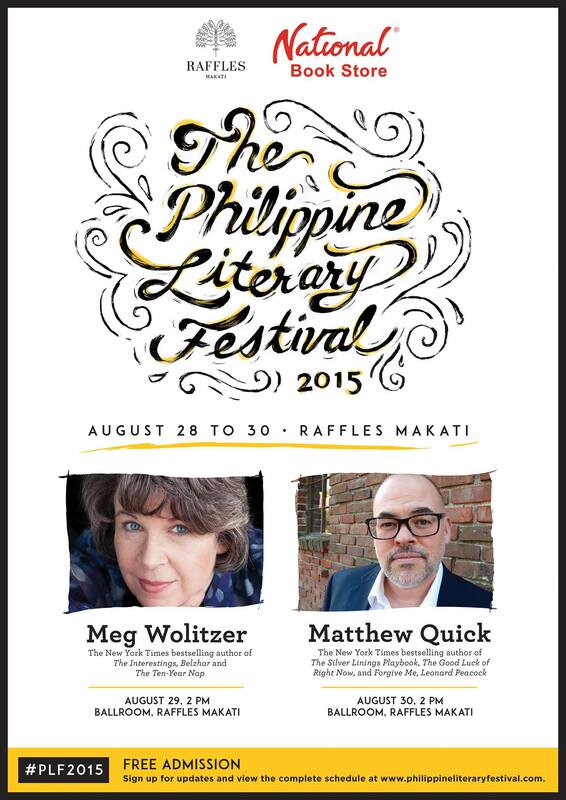 Join bestselling and award winning authors Matthew Quick and Meg Wolitzer in Raffles Makati and National Book Store’s Philippine Literary Festival from August 28 to 30, 2015 at the Raffles Makati. (Text and photo from The Philippine Literary Festival Facebook Event page). Nanay's Trip recommends the August 30 schedule for parents who are interested to listen to Filipino authors of children's storybooks. Check the event schedule here. Enderun Extension together with PowerBooks is inviting the Make it Blissful community #makeitblissful for a fun afternoon of Instagram photography! Come and learn (it's free!) about what it takes to foster community and friendship on this fun visual platform, and let's talk about taking nice photos, too! Everyone's invited! Admission is FREE. See you at Greenbelt 4 on August 30. Nanays, pick the events you find most interesting and please share it in the comments section below. If we bump into each other in one of these events, please say hi and it will definitely be fun to be seatmates or groupmates. **Matthew Quick, author of the novel, The Silver Linings Playbook will give a talk at the The Philippine Literary Festival on August 30 at 2:00 p.m, Raffles Makati, Ballroom 2. Pre-register here. Kitakits! SJ, I will attend the literary festival on the 30th. 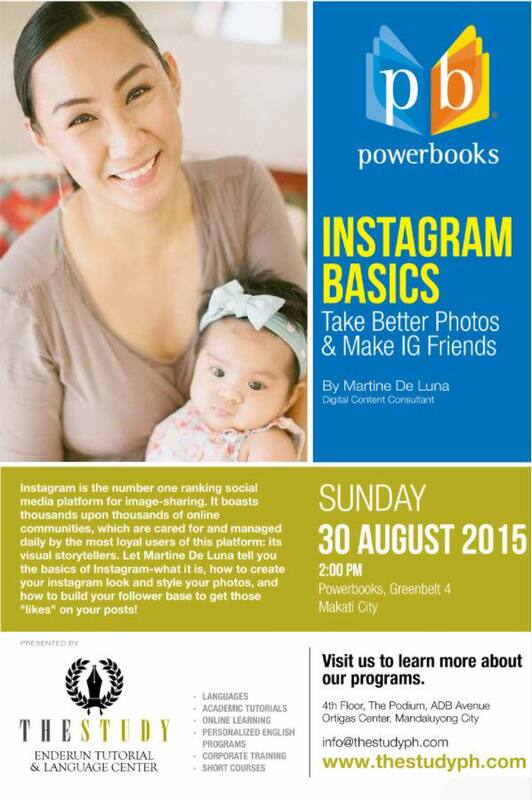 I hope to catch Martine's talk in Powerbooks too. See you!